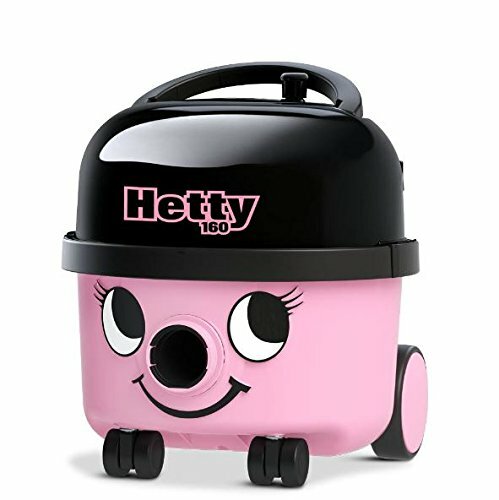 The Hetty is the second addition to the iconic, loveable and just plain useful Henry vacuum range built by Numatic International. 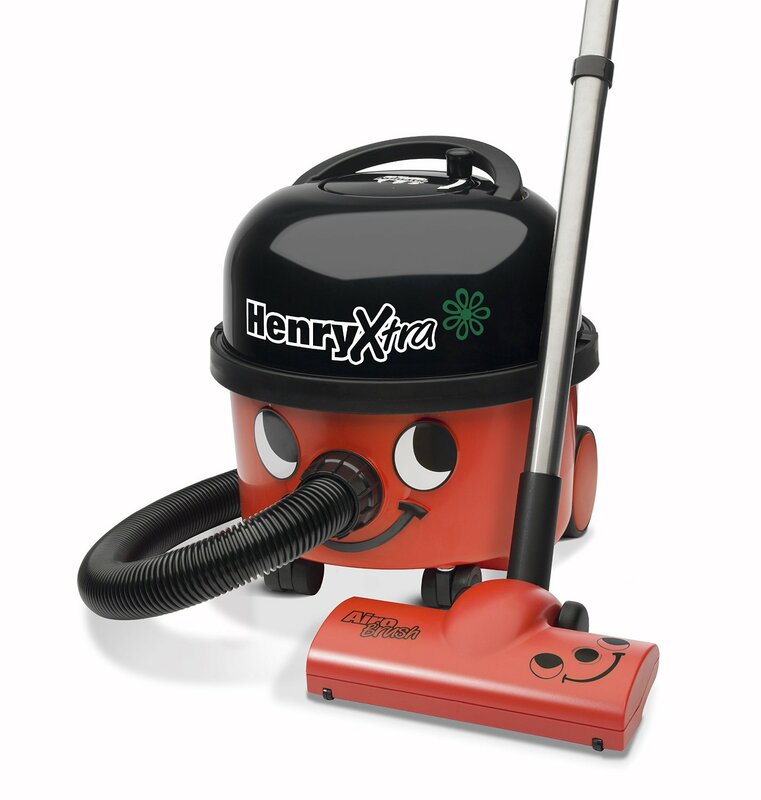 Those who are familiar with the red Henry vacuum cleaner will probably already be aware of the stellar reputation that this model has had for years amongst domestic and professional users all over the world. And you know what? The Henrietta is not just a pretty face because the engineering and design behind this cleaning machine are very impressive. So much so that it continues to be one of the best-selling vacuum cleaners in 2015, many years after its initial launch. So what makes it so special? Well, we decided to take a closer look.. 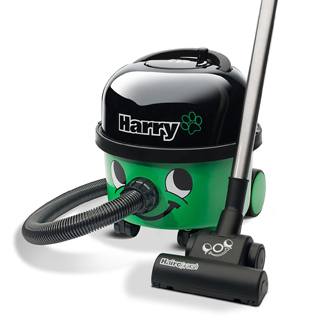 Originally founded in Somerset in 1969, this global manufacturer of cleaning equipment produces a wide range of products for the domestic, commercial, and industrial cleaning market, including the iconic Hetty vacuum cleaner. 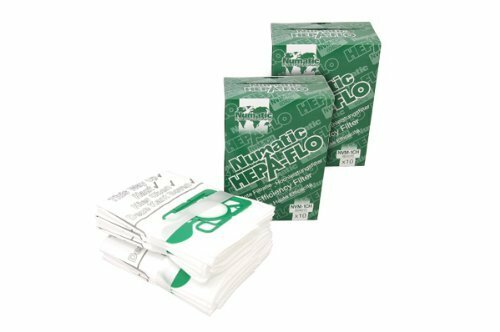 Numatic have a large share of the market in both the UK and abroad, including countries such as France, the Netherlands, Germany and South Africa. All of their machines are manufactured at their facility in Somerset, which employs 700 people and produces 4,500 units every single day. If you are anything like me, you will find it rather frustrating when the vacuum you are using does not have sufficient suction power to lift off the common dust and dirt that likes to stick to carpets. I have owned many cheaper vacuum cleaners in the past that are simply not up to the task of cleaning my floors properly. 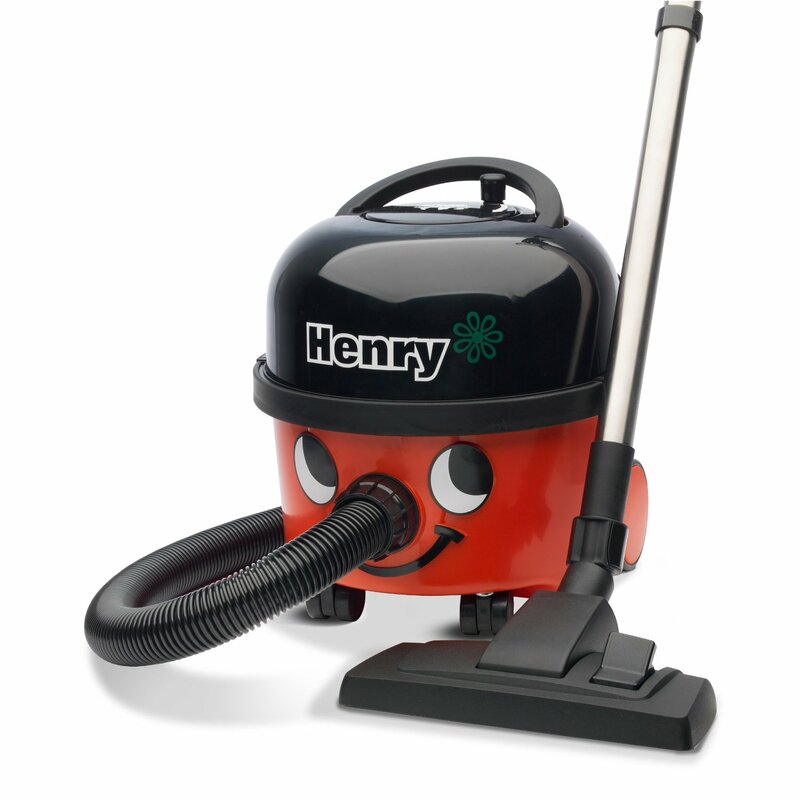 The Hetty vacuum has two TwinFlo motors that create an incredibly powerful amount of suction power that will easily lift even the most stubborn forms of dirt from your floors. 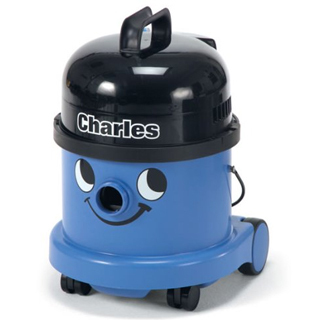 Some people have commented that these motors make the Henrietta rather loud but I personally find this to be very reassuring, because it tells me that it really must be doing an excellent job at vacuuming my carpets. With the price of electricity going up year on year, it is wise to start looking for ways to save money. 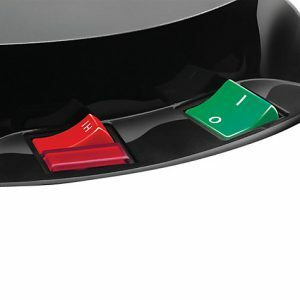 Luckily, Numatic have decided to give you one with the Henrietta vacuum in the form of Autosave. This feature allows you to switch between the reduced electrical consumption of 600w and the traditional 1200w of power. 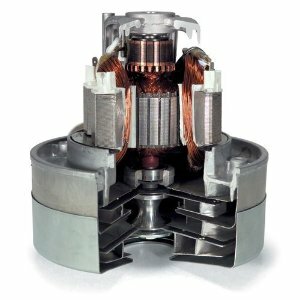 This effectively means that you can use less power if you think that you will not require it, but crucially you can always increase it to 1200w if you want to harness all of the power that this little machine has to give. So you can save money and the environment! The Henrietta is both small and cylindrical in shape, meaning that it is very easy to store away when you are not using it (which is most of the time). There are many vacuums on the market today that take up a huge amount of storage space and this is simply not practical for the size of home that most of us live in. I am able to fit my Hetty into a tiny space under the stairs, and this is a very important benefit. It is worth noting that this machine can be a little cumbersome to move around, particularly if you live in a tight, confined space. However, I have no real problem moving this machine around my home at high speed and it really is not a disadvantage at all. Lastly, the extra long 10 metre cable and the cable rewind system is very practical and useful, especially for big homes where you might have to keep plugging and unplugging until you have completed your whole clean. With the Hetty you can plug in and go all over your property without ever stopping, which is a great time saver! What does Hetty come with? One of the first things that you will notice when you un-box your Hetty is the thick, strong crush-proof nose (1) that is attached to the side of this machine. This has been specifically designed to withstand a large amount of stress, that may result from getting caught in tight gaps or underneath heavy objects. Attached to this hose are two strong metal extension tubes, which in turn attach to the combination floor nozzle (2). The nozzle has a metal sole plate underneath, which allows it to easily glide across your carpet, as well as two litter pickers (3). The two foot operated pedals on top allow you to switch between a low and high brush position, which is great for when you want to clean hard floors/ laminates, as well as carpeted areas. Quick Tip: You can buy an extra hose, attach it to the one that you already have and double the cleaning reach without having to move the base unit. This is perfect for cleaning stair cases and for reaching the corners of tall ceilings. 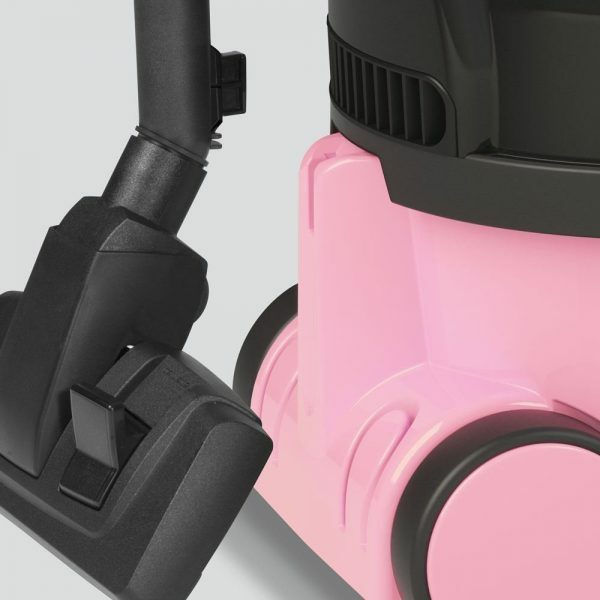 In terms of accessories, the Hetty really packs a punch, with a number of items that transform the cleaning capability of this little machine. 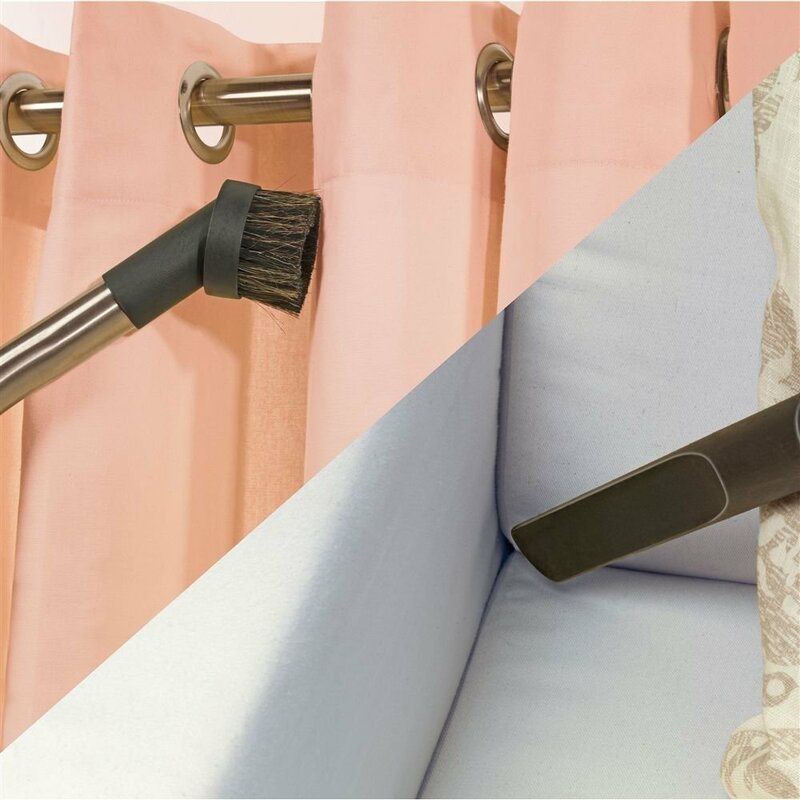 First up is the soft dusting brush (4), which is made up of a collection of soft bristles that are perfect for when you need to clean delicate items, as well as curtains and blinds. There is also a crevice tool (5) which is perfect for vacuuming up all of the dust and other small pieces of dirt from the nooks and crannies in your home, such as along skirting boards and behind furniture. The general purpose nozzle (6) is a smaller version of the main one and it is very useful for vacuuming stairs and upholstery. You are also given a dusting brush that slides onto this small general purpose nozzle which can be used to agitate more stubborn dirt. With the recent new European legislation that effectively bans the sale of vacuum cleaners with motors more powerful than 1600 watts, Numatic have taken it upon themselves to produce a new version of the Hetty that is more energy efficient. This new HET200A2 620 watt vacuum not only consumes far less energy but it also still produces excellent vacuuming results. You really will struggle to notice any difference between this new model and the more traditional 1200 watt variant because Numatic have gone to great lengths to tune up this machine. Plus, you’ll be saving money on your electricity bill and helping out the environment a little at the same time! 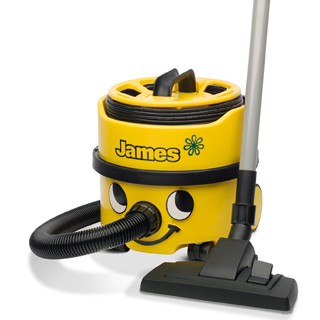 In conclusion, the Henrietta vacuum is a cleaning machine that was born to run. 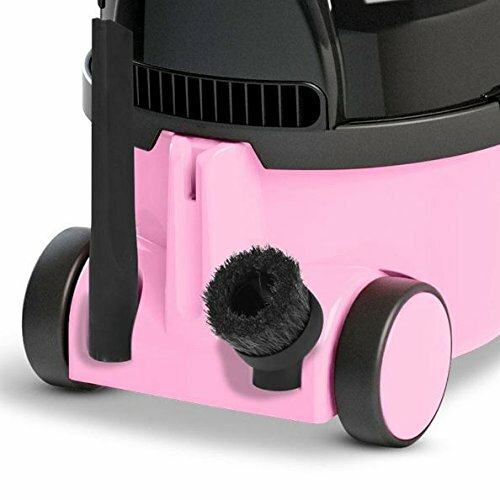 If you are looking for a vacuum with incredible suction power that will lift up all kinds of stubborn dirt on the first go, then this is the one for you. It is powerful, practical, versatile and little bit cheeky too. 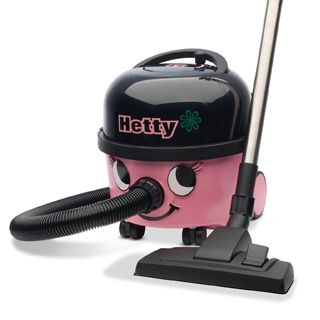 I have owned my Hetty for years and it has never lost any of its suction power of caused me any issues whatsoever. I would highly recommend!